2 Bedroom Flat For Sale in London for Asking Price £5,850,000. The principle entrance on Kensington Road is a magnificent space, attended by the concierge 24 hours a day and furnished with a reception area and dedicated spaces for formal and informal meetings. 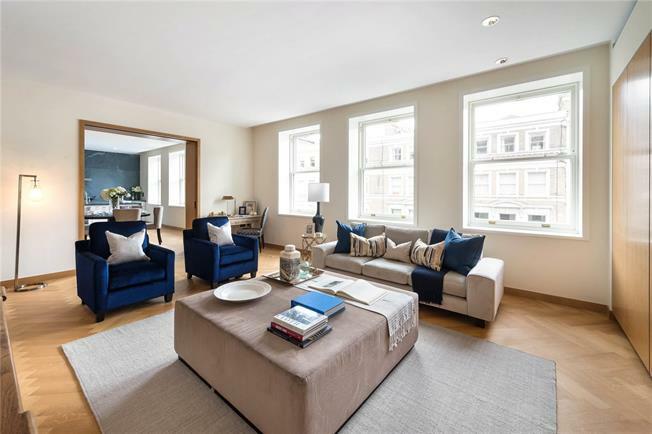 On the third floor behind a period facade this elegant two bedroomed apartment located is located opposite Kensington Palace Gardens and benefits from 24 hour concierge spa, swimming pool and parking. One Kensington Gardens is opposite Kensington Palace Gardens in the heart of London's illustrious Royal Borough. Residences at one Kensington Gardens are complimented by an array of equally luxurious and exclusive leisure amenites, including an indoor swimming pool, gymnasium and spa and treatment rooms, along with a host of private wellbeing and entertainment facilites staffed by a dedicated team. Gym & Private excercise room.